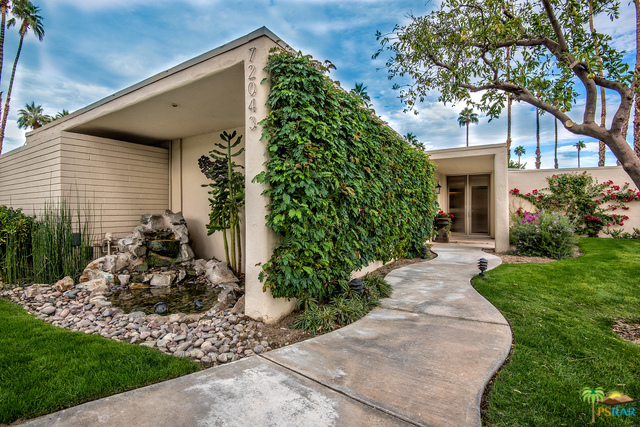 A rare and highly sought after opportunity to Own on Desert Air Drive on golf course. Prime location, easy walk to OMNI ( owners can use the OMNI, that is the $80 second fee, and The River, with dining, shops and theaters, Privacy galore on the Golf Course with no side by side patios and private courtyard including built in water feature. 3 oversized Brs. (2 en suites w stone faced fireplaces) all with walk in closets, All bedrooms have patio access. A beautiful BBQ w TV on patio, and inside wet bar. Built in Safe in 3rd bedroom. Solar tube in kitchen, LED lighting, new roof with 5 yr warranty. 27 hole golf course, 26 pools and hot tubs , pickle ball courts, 25 tennis courts. Many amenities include a lg 6 burner stove, beautiful custom laid tile flrs, a wonderful kitchen w mountain views, 2 separate AC systems. These Condos rarely come available, feels like SF home, a must see. Pkg includes two side by side spaces next to unit, a lg golf cart garage attached and a garage by carports. Subdivision: Rancho Las Palmas C.
Subdivision/Neighborhood: Rancho Las Palmas C.